Mått:400 x 310 mm. Om du vill ha andra dimensioner kontakta oss. 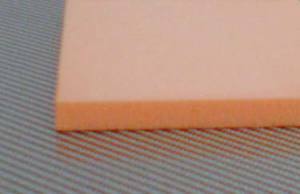 Is a lightweight, PVC closed cell foam for universal use in sandwich constructions. Its excellent stiffness, strength to weight ratio, and high toughness make it suitable for a large variety of applications. The foam is ideally suited for statically and dynamically loaded structures and is compatible to all resin systems.